The team immediately noticed that C/2014 S3 (PANSTARRS) was unusual, as it does not have the characteristic tail that most long-period comets have when they approach so close to the Sun. As a result, it has been dubbed a Manx comet, after the [tailless cat]. Within weeks of its discovery, the team obtained spectra of the very faint object with ESO’s Very Large Telescope in Chile. A number of theoretical models are able to reproduce much of the structure we see in the Solar System. An important difference between these models is what they predict about the objects that make up the Oort Cloud. Different models predict significantly different ratios of icy to rocky objects. This first discovery of a rocky object from the Oort Cloud is therefore an important test of the different predictions of the models. 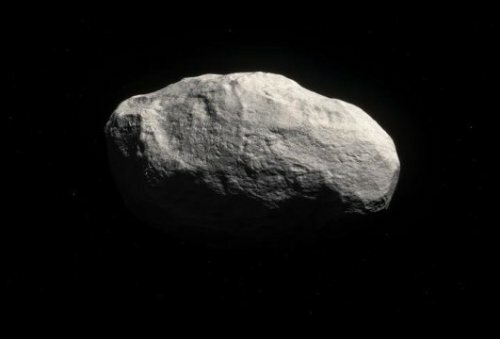 The authors estimate that observations of 50-100 of these Manx comets are needed to distinguish between the current models, opening up another rich vein in the study of the origins of the Solar System. * The Oort cloud is a huge region surrounding the Sun like a giant, thick soap bubble. It is estimated that it contains trillions of tiny icy bodies. Occasionally, one of these bodies gets nudged and falls into the inner Solar System, where the heat of the sun turns it into a comet. These icy bodies are thought to have been ejected from the region of the giant planets as these were forming, in the early days of the Solar System. This research was presented in a paper entitled “Inner Solar System Material Discovered in the Oort Cloud,” by Karen Meech et al., in the journal Science Advances. The team is composed of Karen J. Meech (Institute for Astronomy, University of Hawai`i, USA), Bin Yang (ESO, Santiago, Chile), Jan Kleyna (Institute for Astronomy, University of Hawai`i, USA), Olivier R. Hainaut (ESO, Garching, Germany), Svetlana Berdyugina (Institute for Astronomy, University of Hawai’i, USA; Kiepenheuer Institut für Sonnenphysik, Freiburg, Germany), Jacqueline V. Keane (Institute for Astronomy, University of Hawai`i, USA), Marco Micheli (ESA, Frascati, Italy), Alessandro Morbidelli (Laboratoire Lagrange/Observatoire de la Côte d’Azur/CNRS/Université Nice Sophia Antipolis, France) and Richard J. Wainscoat (Institute for Astronomy, University of Hawai`i, USA).